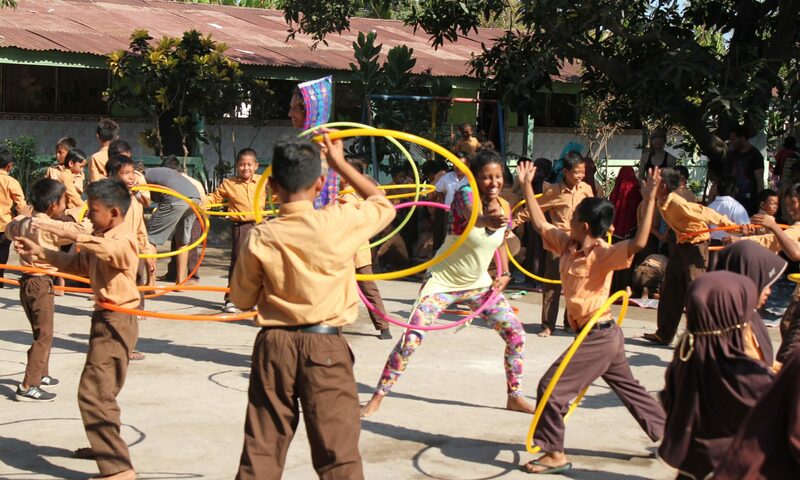 To give joy to children in Lombok as part of the post-disaster trauma relief, a group of similar minded people joined together to donate their support, teachings and hula hoops! 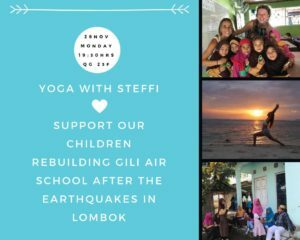 The people and buildings of Lombok and the Gilis are slowly recovering from large earthquakes last year in July and August. Over 500 people were killed, over 1000 people were injured, and homes, schools and facilities were destroyed or damaged. 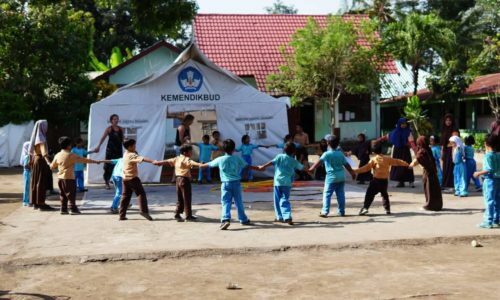 Not only is Lombok continuing to heal itself, but the people affected need support in healing from the trauma that this devastation has caused. 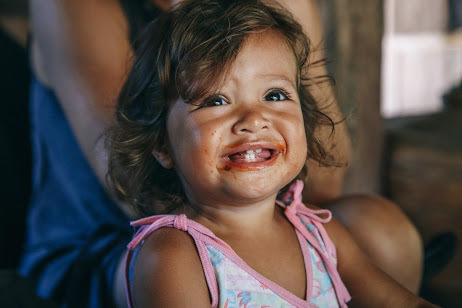 To help the children that have been affected NGOs have and continue to support. The Train of Joy was created after the earthquakes to provide trauma relief programmes and emergency educational services. 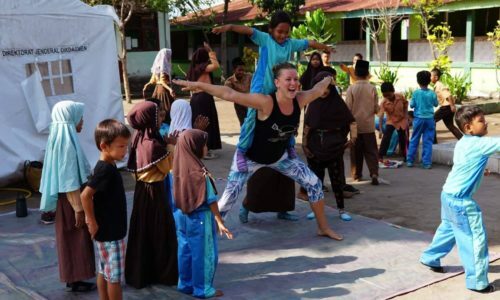 CircusAid, founded by Jill Maglio, travels the world to support the relief from mental anguish while helping build resilience through engagement in circus arts. They have been in Lombok since January to support in trauma healing after the earthquakes. 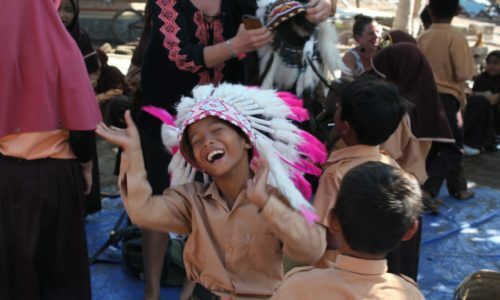 We at the Soraya Foundation and our volunteers have and continue to raise donations, we provide support in education and provide weekly sessions of circus classes to aid in trauma relief. 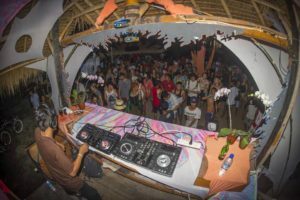 CircusAid and the Soraya Foundation was most recently supported by The Fiery Pixies, Manta Dive Gili Air and Slow Villas & Spa to give back and support the kids. It was a magical moment that saw people with the same mission come together to spread joy, love and much more through circus. How does circus support people? Circus activities are able to provide therapeutic and educational practices. This increases and promotes independence in the abilities to meet the well-being needs, self-care, leisure and productivity goals. 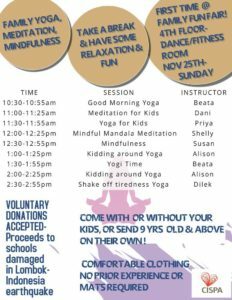 For children in particular circus promotes health and fitness through staying active, and mental well-being through happiness and being part of a group. The Hula hoop donation mission! 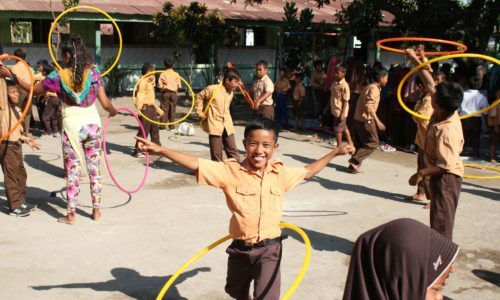 A kitchen in Gili Air (an island off from Lombok) was turned into a hula hoop factory! The hoops were made out of plastic hose wire by the team. The next day, these 100 hoops were transported by boat and car to Lombok by the team. During the 100 hoops offering, the team visited The Train of Joy with the offering of the hoops. The Fiery Pixies and CircusAid did what they do best and brought smiles and laughter to the kids with their tricks and teachings. An uplifting environment was created for the children for them to relax and be free! They have been taught how to play with the hoops individually and together so that they can continue practising and gain the benefits through staying active. Thank you to the children for welcoming the team with your pure spirits and beautiful smiles. Thanks to everyone who supported 100 hoops! 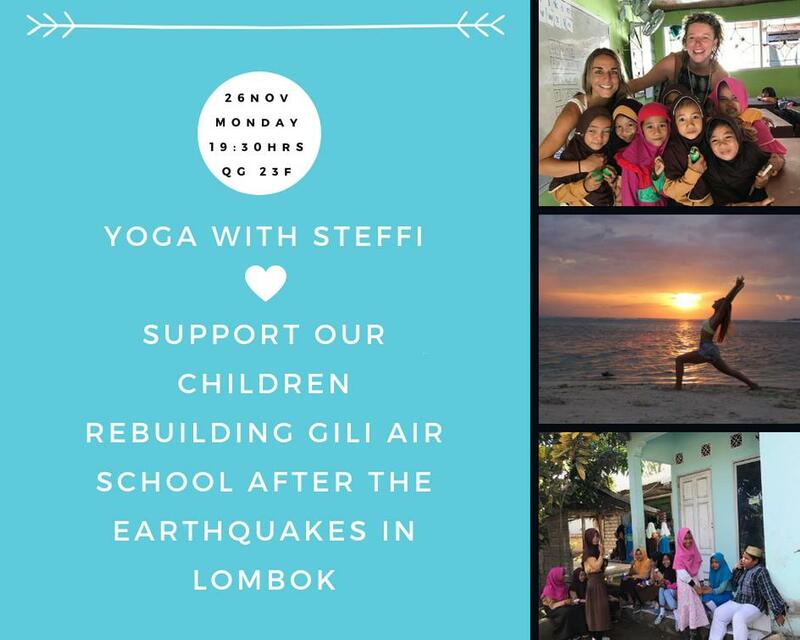 How can you help Lombok earthquake relief? Lombok’s people can not be forgotten. The communities need support for daily living, coping through the trauma and rebuilding the island. There are many ways that you can help, through volunteering, donating, fund raisers, or even just spreading the word, so that more people are aware of the situation. This is Pak Mus. 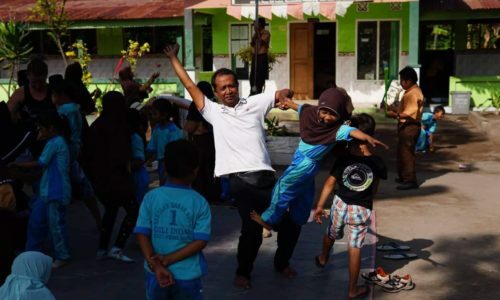 He teaches at Gili Air SD primary school, but he is much more than that to the community. Everyone knows him and loves him. 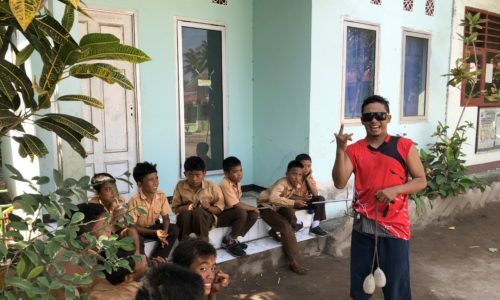 As a teacher since 1990, he has now taught two generations of people on Gili Air, which means he is now teaching the children of his original students! 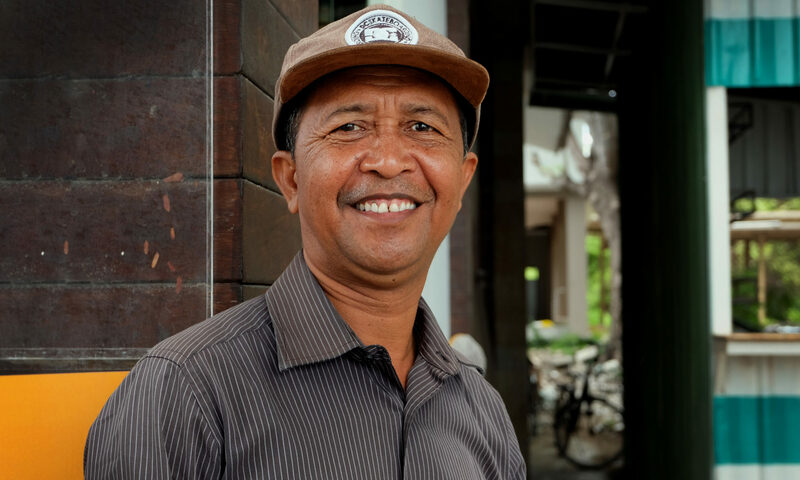 Mus is a humble, well educated man who travels between Lombok and Gili Air to support his family. When he is not teaching, he is selling bungkus to school staff and the locals, and bracelets to the tourists. I see him walking toward me with a big smile. He radiates a coolness, a sense of relaxation and approachability. He shakes my hand and leads me to a bench on the beach. I’ve heard the people of Gili really love you, they have such nice things to say about you. What’s your favorite thing about Gili Air? And your work, what specifically do you love about your work and the time you’ve spent doing it? And do most of the kids stay in the area, or on the island? Whats your favorite thing to do when you’re not working? Were you here for the earthquake? How did that affect the kids at the school? So what is the best thing that visitors can do to help? So do the kids like it? 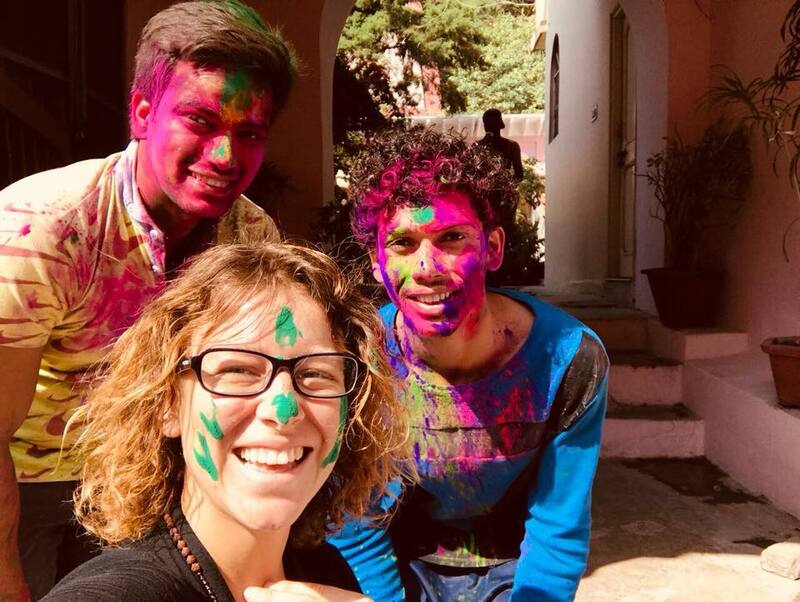 Learning about western culture from foreigners? Can you share a fun fact about yourself? Like.. whats your favorite local food?! oh!!! Gado gado!! Boiled potato with peanut sauce, a little bit chili. Can put egg or tofu on top. Just a little bit of chili, not too spicy! Mus then smiles, and looks anxiously to his right. There is a boat waiting for him to take him home to Lombok for the afternoon. I thank him for sharing with me. He grabs my hands, gives me a smile and a thumbs up and trots down to the water. Free consulting service for local people. You have a business in Gili Air? You need some guidance on how to market and manage it better? How tripadvisor works? Booking.com? Agoda? Any other on- line travel agents? You don’t know how to reply to reviews? How are new projects born? We follow our dreams, they know the way. Then, if you put everything you have into it, success is the only way out. One day Valentina came to see me, Julie. She told me that she’d like to start a Montessori inspired kinder-garden in Gili Air for her daughter, Soraya. Of course, it can also be for all other kids of Gili Air, otherwise it will be a lonely one. I’m so happy & proud to announce that from November, my friend Rose and the Gili Shark Conservation Project team will start to organize conservation classes for the children of Gili Air. But there is more; they want to give the children the tools to say “no” to plastic. 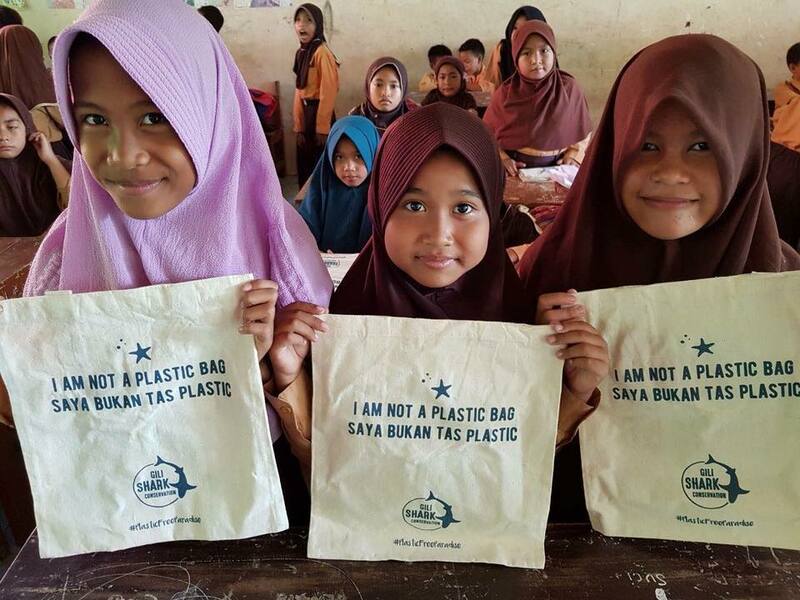 It’s our dream to put together a “PlasticFreeParadise kit” which we will hand out to the kids during the conservation classes. 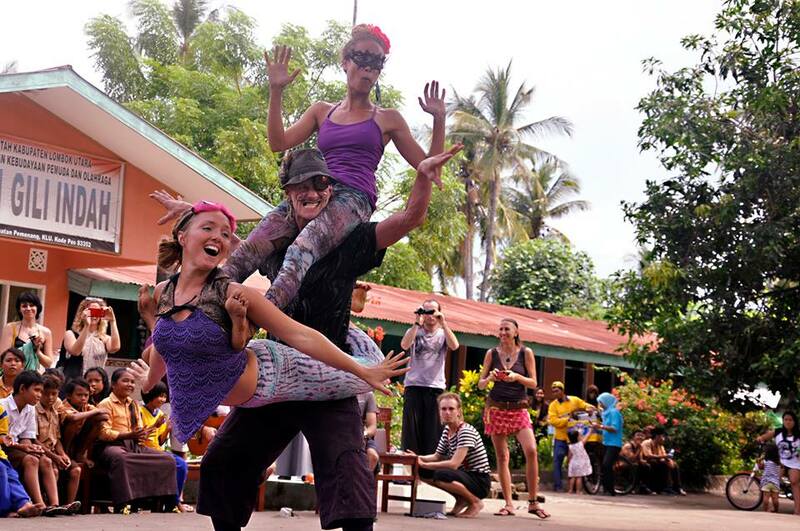 The Circus Show at Gili Air’s primary school has become an appointment no child of the island would miss. 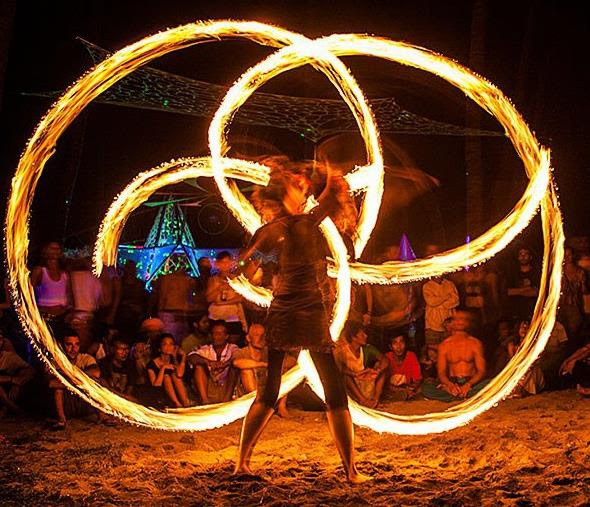 Coming to its 4th edition, once again a group of professional jugglers, performers, clowns and acrobats are coming to Gili Air and amaze the audience with incredible circus tricks. 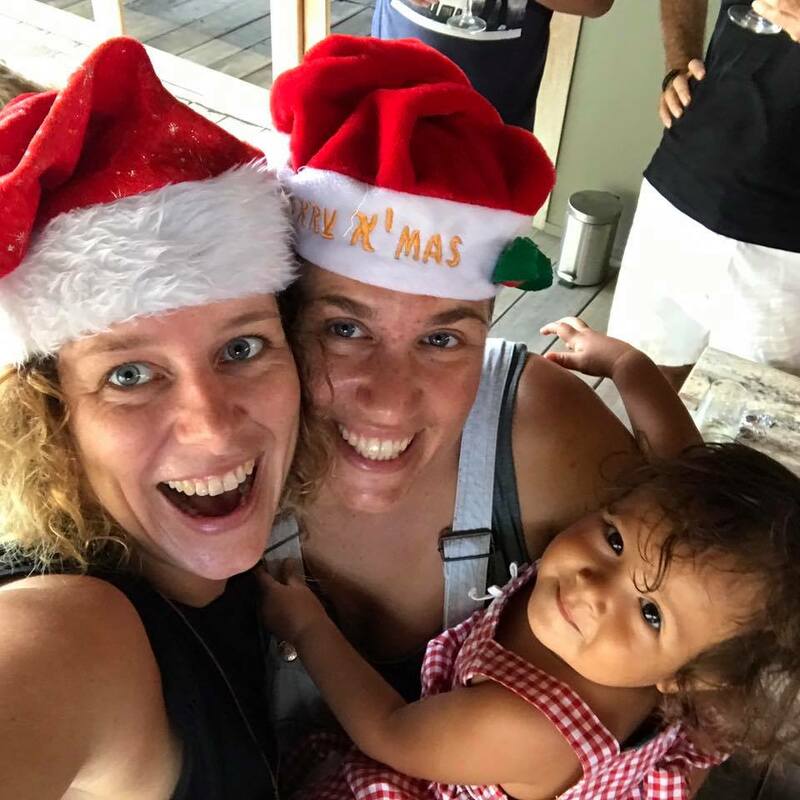 Don’t miss our Gili Family XMAS dance for charity!